A new river guide focuses on the Lake District and North West of England, and it doesn’t disappoint. 368 detailed pages cover everything from mellow, grade two touring rivers to high octane, high risk gorge descents. With the new Canoe & Kayak Guide to North West England, author Stuart Miller has gone to great lengths to update his seminal river guide book White Water Lake District, which was first published in 2003. The Lake District has always been a favoured destination of kayakers and canoeists, drawn to the beauty of its lakes and and the challenge of the rivers and mountain becks. This river guide adds significantly to the ‘well-known’ rivers, offering up numerous new possibilities for kayaking and open canoeing. The guide starts with a useful river map of the entire area, taken from the Canoe & Kayak Map of Great Britain. River grading is indicated by colour, making the map simple to use and invaluable for trip planning. The North West region has been split into eight areas. Each area is given its own section and starts with a summary table of the rivers in the area. The table includes river grade, a three star indication of both white water and scenic quality, trip distance and an indication of the necessary water levels for an enjoyable paddle. Each river description is accompanied by a detailed river map, showing significant rapids and obstacles, paths, pubs, parking spots and more. The river guides are as detailed as anyone might need, and include good visual and online guage indicators, allowing paddlers to determine if there is too much, or too little water, to take them downstream. The river descriptions focus on features and obstacles, and leave out the anecdotal stories which some other river guides feature. Whilst it is interesting to know that so-and-so pinned a boat here, or that someone else came to a sticky end in an accident twenty years ago, river features can change dramatically and such stories are frequently more off-putting than useful. The guide makes full use of colour throughout – with many mouth-watering photographs submitted by paddlers – so we’re not just limited to the author’s collection, or grainy prints from the 1970’s. 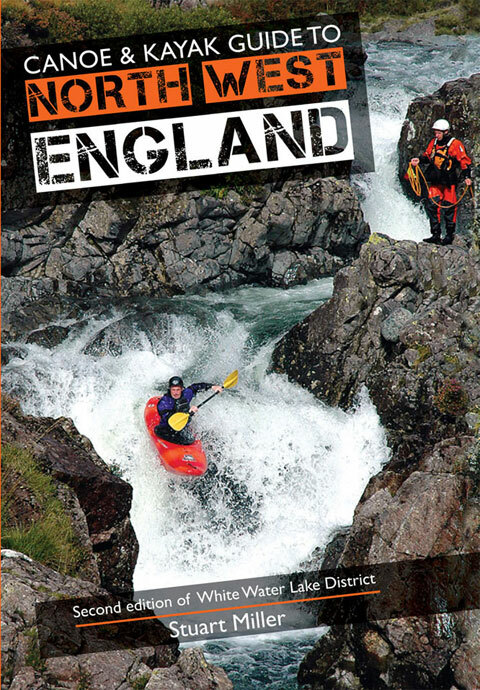 At a recommended retail price of £22.50 the Canoe & Kayak Guide to North West England isn’t the cheapest book on the market, but you’ll get your money’s worth the first time you use it – whether you want to enjoy some summer open boating or a winter of white water kayaking. When one considers the enormous amount of work which has gone into producing this great river guide, it is worth every penny. 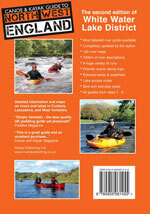 The Canoe & Kayak Guide to North West England is available online and instore at most canoe shops. You can also purchase from Amazon using the link below.